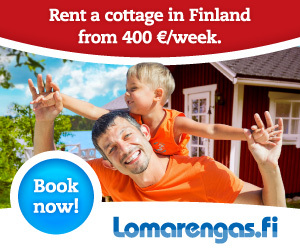 We spent two days in the Luirojärvi camping area and visited the huts solely for cooking purposes. Heikki and Elina, however, felt they had the energy to ascend Sokosti and went up to see the sights (aka a grey wall of fog). I stayed behind since I felt a bit under the weather. I was certain I’d caught a nasty stomach flu or something but thankfully nothing like that surfaced. But I did have the hut all to myself for a few hours. I read through the guest books and took a quick nap. I can proudly say, I had nothing going on in my mind. Solitude was just what the doctor ordered after three days of hiking and spending nights in a slightly too small tent with Heikki. I didn’t have a pen and paper with me, so I couldn’t jot things down. So I had to, you know, do nothing. I cleaned up in the hut but that was over fairly quickly. I could use more alone time, to be honest. And more not-doing-anything time. After the Sokosti adventurers returned, we fired up the sauna. There aren’t too many saunas in the wilderness and it’s always a job of its own to fire one up (chopping up firewood, carrying buckets of water, etc) but it’s that much more rewarding. After this soul-cleansing experience, we made crepes, both tuna-filled and regular ones. We could survive solely on these, we pondered. With clean bodies and souls and with our bellies full, we turned in. For another day, life was exactly as it should always be.